Hi, Pizzazzerie readers! It’s Cara from One Swell Studio here to share a quick & fun teacher gift idea (+ free printable) for back to school! Where, oh WHERE has the summer gone?! The store aisles are packed with binders, notebooks, and backpacks. This can only mean one thing. Back-to-school is happening. Some of your kiddos might have already headed back to the classroom. Maybe you have a few more weeks of summer to savor. My boys will be heading to Kindergarten and preschool later this month & they’re SO excited to meet their new teachers and classmates. 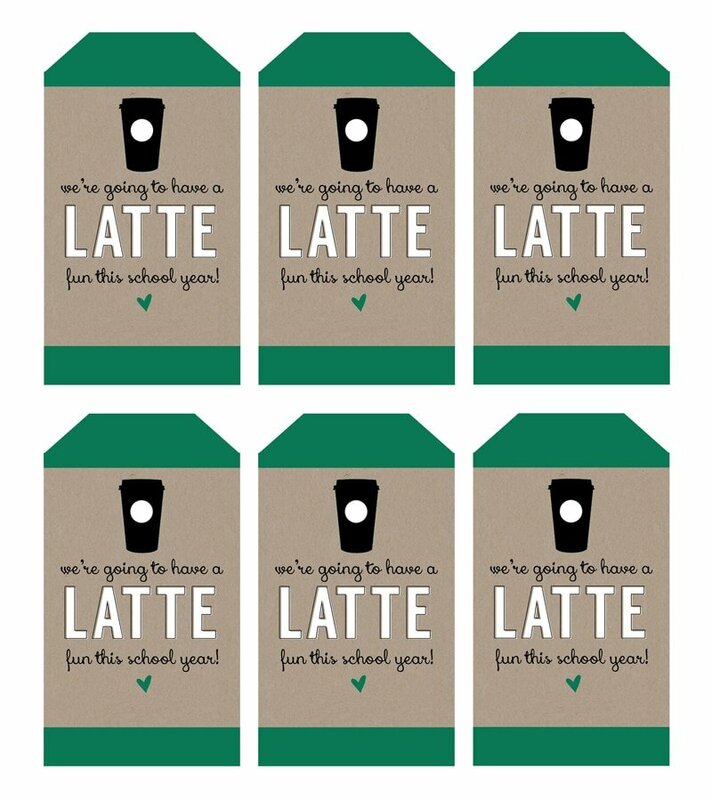 I don’t know about you, but when I walk into a classroom filled with beaming, bouncing kiddos, one word pops into my head: caffeine. I’m fairly certain that those early education teachers deserve unlimited cups of coffee throughout the day! Whew! 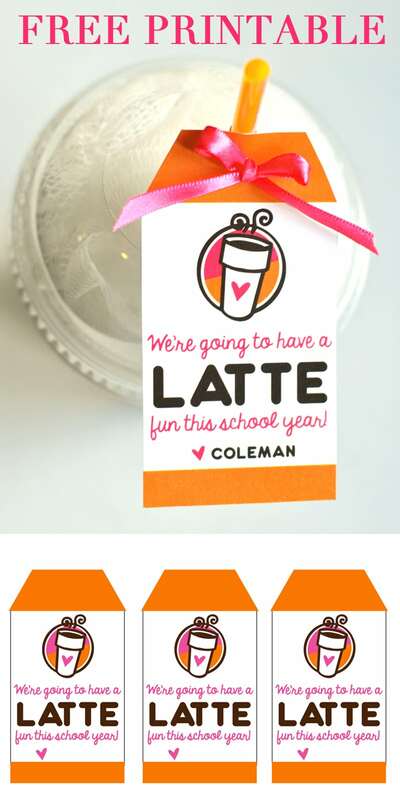 I love to send in little gifts throughout the school year to let our kids’ teachers know that we appreciate all they do (and they do a LOT!). 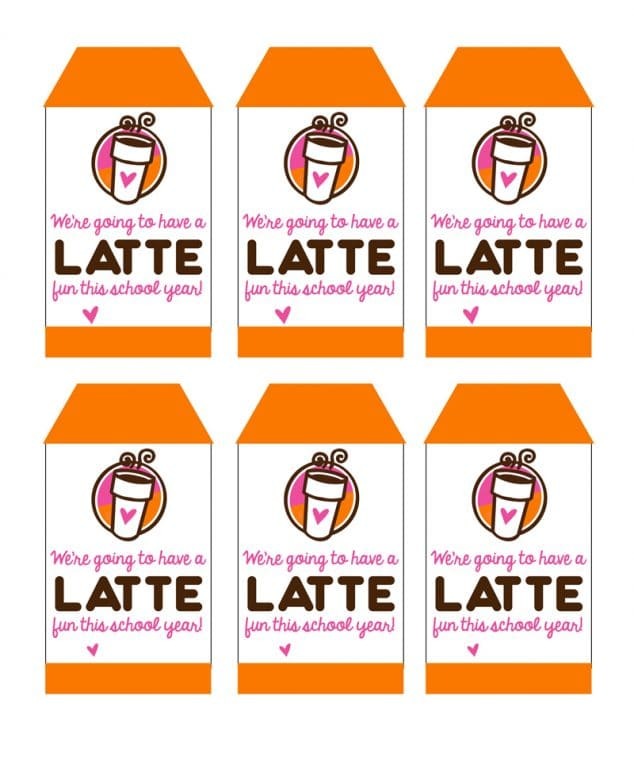 What better way to kick off the school year than with the gift of coffee –& some seriously cute packaging too!? First, swing by your favorite coffee place & ask for a clear cup, domed lid, an extra straw– (Let them know it’s for a teacher gift– they’re usually very willing to help out!) & a gift card if you’d like to include one. Next, pick up the rest of your supplies. I grabbed everything I needed at Walmart. Using the cup as a guide, decide how much kraft paper you’ll need to “fill” the inside of the cup. Depending on the size of the cup, the amount of paper you’ll need will change. I put the paper inside the cup and eyeballed it as best I could before cutting. It’s better to have a little extra that you can fold down later. This is going to become the “coffee” in the cup. Next, place the white loofah on top of the kraft paper. As I mentioned earlier, you might need to fold down some of the paper in order to get a good fit & then place the lid on the cup. It might take a few tries to get the lid on (especially if your loofah is very fluffy like mine!). 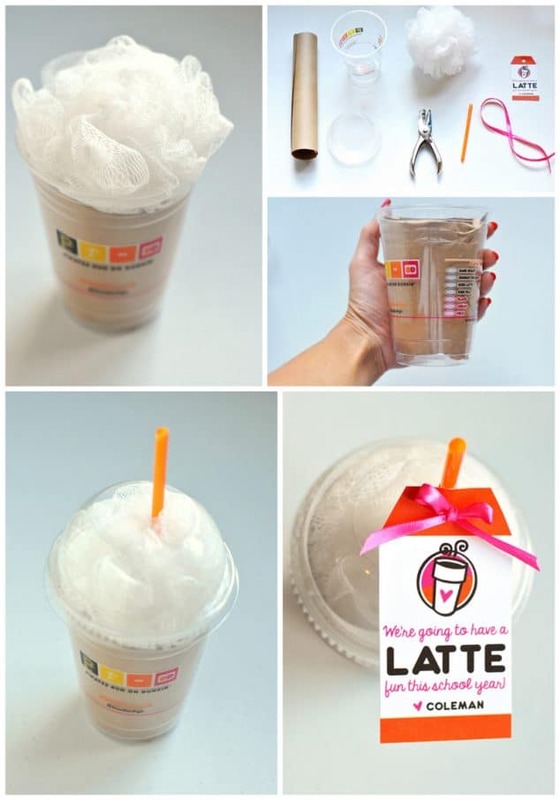 Just keep pressing the loofah back inside the cup/lid if it tries to squish out. Last, unwrap the straw and cut it in half. Try to wiggle the straw down into the loofah so that it doesn’t fall out. You could always use double-stick tape or a glue dot to hold it. Since my loofah was so puffy, I didn’t need to use anything. Make sure that you’ve downloaded and printed the free gift tags. Cut out a tag & have your kiddo sign his or her name at the bottom (or you can sign it instead). Punch a hole in the top of the tag and tie it to the straw using coordinating ribbon or yarn. 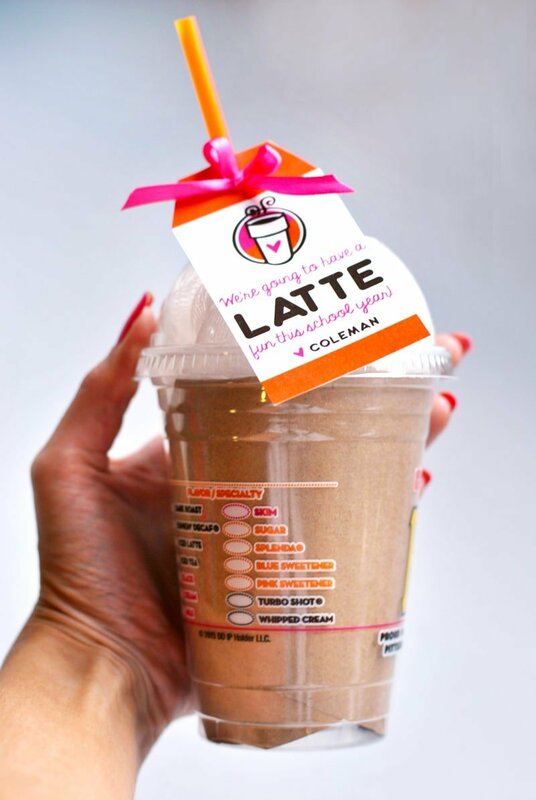 Now you’ve got a sweet little treat for the teacher– and the gift of caffeine is one that just keeps on giving! Here’s to a wonderful school year! I think it’s a really interesting idea for a gift to a teacher! This will give a positive charge to your child’s teacher, and will help them to establish the learning process, and I think that it’s really great! Thank you very much for sharing such positive and interesting ideas! I hope you continue to share this type of content!